Tracy Lynn Curry (born June 10, 1968), primarily known by his stage name The D.O.C., is an American rapper from Dallas, Texas. In addition to a solo career, he was a member of the hip hop group Fila Fresh Crew, and a creative force behind the gangsta rap group N.W.A, where he co-wrote many of their releases. He has also semi-frequently worked with Dr. Dre, who is one of the founders of N.W.A and produced two of his solo albums. After Fila Fresh Crew split up in 1988, The D.O.C. went on to pursue a successful solo career. 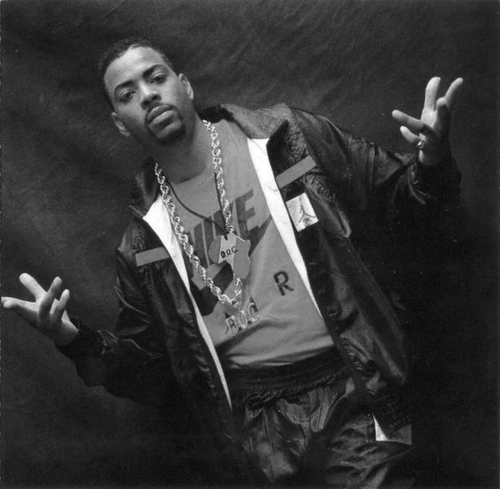 In 1989, he released his debut album, No One Can Do It Better, which reached number-one on the Top R&B/Hip-Hop Albums chart for two weeks and spawned two number one hits on the Hot Rap Songs chart: "It's Funky Enough" and "The D.O.C. & The Doctor". The album went platinum five years after its release. Months after the release of No One Can Do It Better, The D.O.C. almost died when a car accident resulted in crushing his larynx, permanently changing his voice.